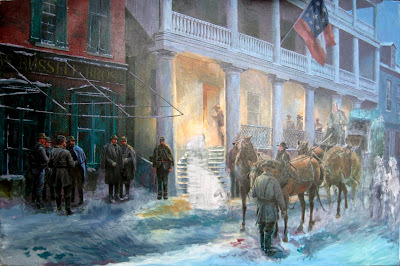 During the Second Battle of Winchester in July of 1863, the hotel was commandeered by occupying Federal forces that used it as a field headquarters. The Taylor continued to trade hands throughout the course of the conflict and managed to survive the war. Although it is no longer open, the structure is still standing and has become a beacon to architectural preservationists in the area.